Although Zack and I do both drive, the drive from Leicester to London on a Friday is just not one that we are willing to do! Plus, with fuel costs and parking, it can get pretty expensive. 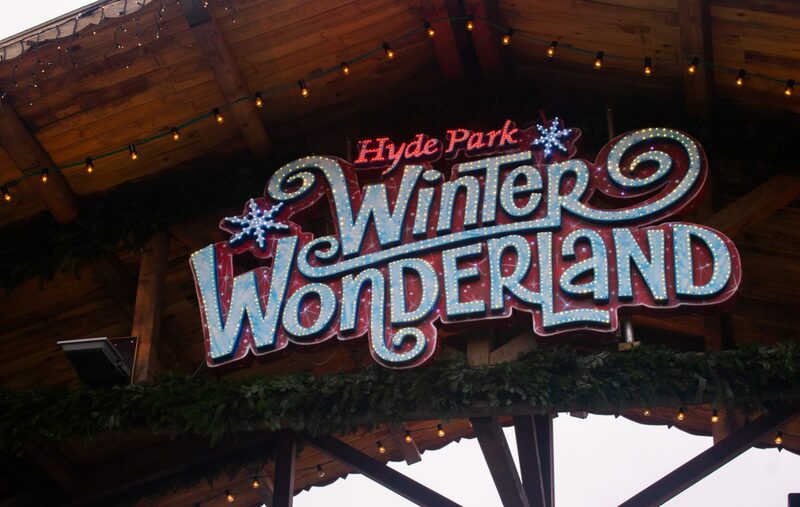 We knew that we did really want to go to Winter Wonderland this year though (after hearing all of the hype about it!) so gave the train prices a little look. Those were also a definite no (so expensive!) so we feared that our dreams of visiting the Magical Ice Kingdom were not to come true, that is until I had a look on the National Express website! At just £22 for a return for the two of us, we were sold! And, actually, we had this already booked before National Express approached me for this post (funny how things just work out sometimes!). With competitive pricing (thousands of tickets are less than £5!) and a guaranteed seat (oh, how I loathe standing on transport), I have actually travelled with National Express before! So, with their modern air conditioning and comfortable leather seats, I knew that we were in for a relaxed ride through to the capital! 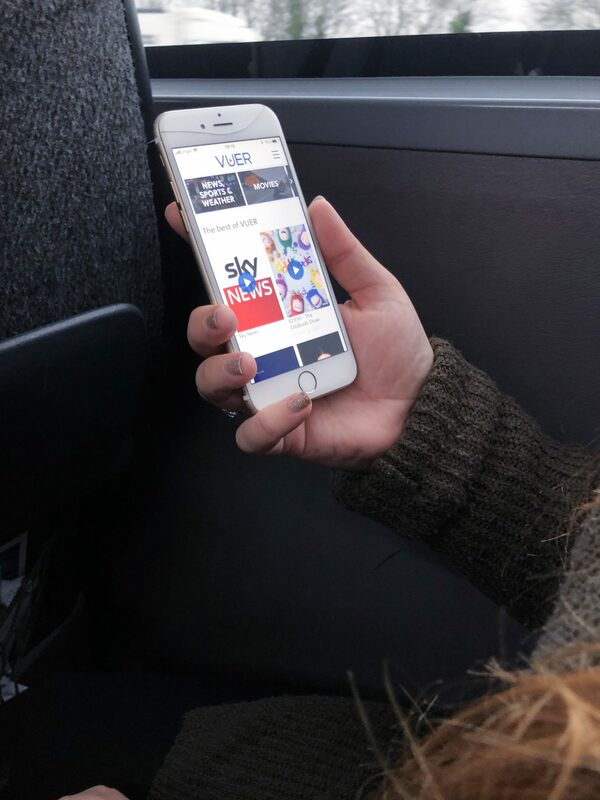 As well as the toilets and plug sockets on board, National Express also have free entertainment through their VUER app! This is a complimentary onboard service and has films, TVs and magazines, so you’re sure not to be bored! When we arrived (ahead of schedule too, thanks National Express!) we decided to have a little look around Oxford Street. We were both in the market for a new pair of gloves to keep our hands warm for the cold days to come, and we both found the perfect pair in Urban Outfitters! And then it was onto what we were really here for, Winter Wonderland. Now, I’m a bit of a Christmas Market fanatic. I love a good market come Christmas time, and Zack and I have been to a fair few over the years. However, Winter Wonderland has always seemed a little less magical than most, and more commercial. However, I’ve got to say, we were both really really really pleasantly surprised. 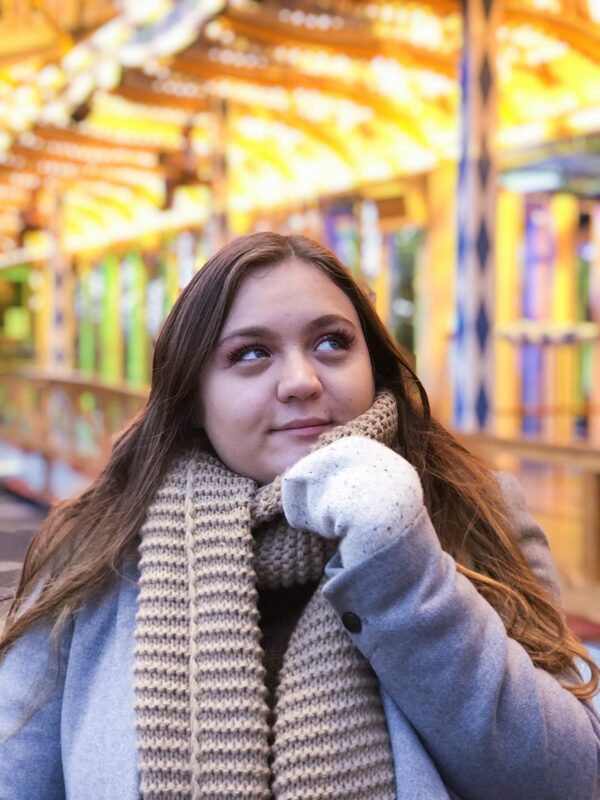 Winter Wonderland has a truly christmassy vibe like none other, and there’s something to see and do for everyone! We had so many laughs in the Santa Land fair, and I even fell flat on my bottom in one of the fun houses, much to everyone’s amusement! The Bavarian Village transported us to traditional Germany, complete with beer, pretzels and live music, it was the perfect spot to wind down in the evening! The carousel bar was a real highlight of mine, and the gorgeous Christmas lights were like none I have ever seen before! We filled our boots with food, from bratwursts, to fudge, to candy floss, to popcorn- there were too many options! They even had dedicated vegetarian food stalls, which I can really appreciate as I usually struggle for food options at events such as these. 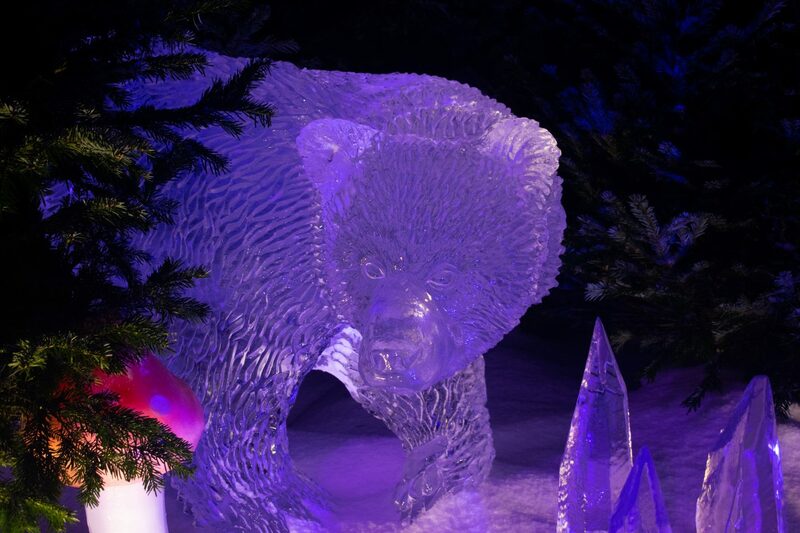 The Magical Ice Kingdom was a real highlight for me, and worth every penny. 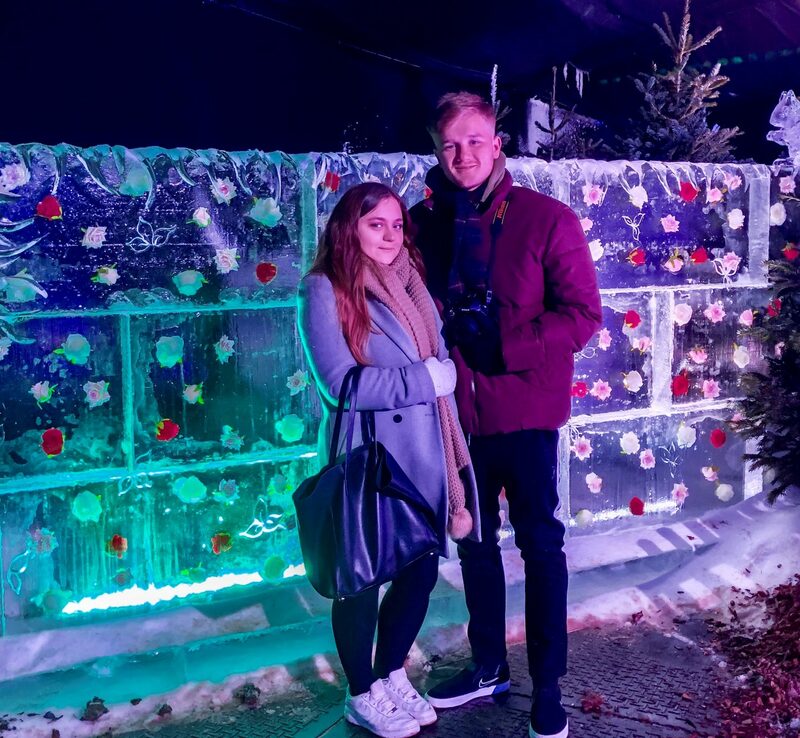 Wandering around a forest of ice sculptures is a memory I won’t forget any time soon, and bruising my bum on the ice slide was worth it for the laugh! 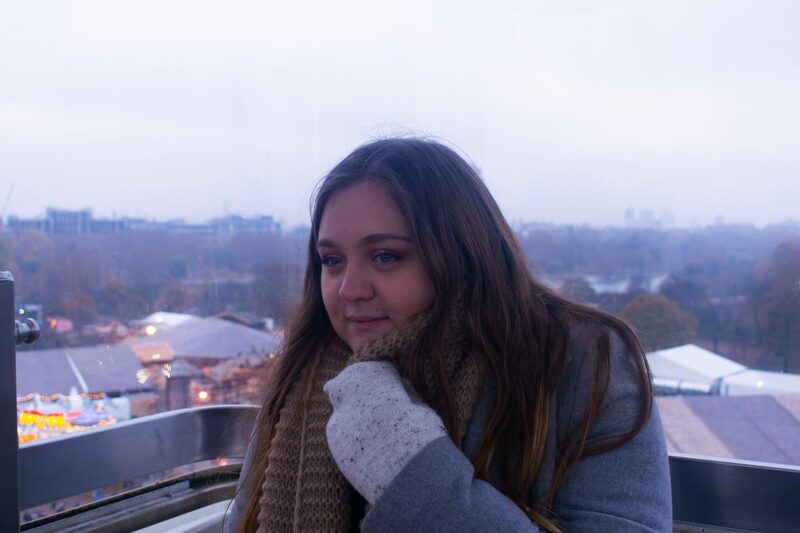 I’m glad that I attempted Google’s Big Wheel, and I had fun asking Google to make it snow and make me a hot chocolate beforehand! It was also cool to be able to ask google to play Christmas music on the way around, although I’ve got to be honest, I did not conquer my fear of heights this day and chickened out after only going around once! Can you see the fear on my face? 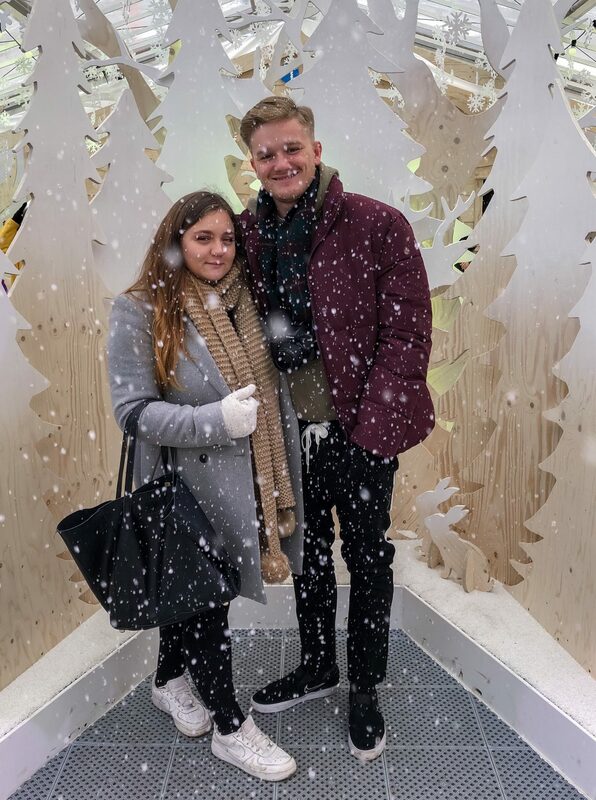 After our Winter Wonderland experience, it was on to Oxford Street for a final dabble in Black Friday shopping. I picked up some boots that I’ve been wanting for a while from Forever 21, and then we headed to Pret for a final hot chocolate before the coach. Our journey home was just as comfortable as the one there, with dimmed lights and closed curtains, the coach was certainly comfortable enough for a little nap after our hectic day! Plus, we could nap even more comfortably knowing that we’d chosen the best travel option for the environment! Did you know that travelling by coach is the most environmentally friendly form of public transport? It generates up to five times less Co2 per passenger than the average car journey! Plus, National Express’ policy is to not leave engines running for prolonged periods of time, and their vehicles are even fitted with a mechanism that automatically switches it off after 5 minutes idle! And, if you’re aged 16-25 (like me!) you’re eligible for a Young Person Coachcard, for the small fee of £12.50 a year! This gives you 1/3 off of standard and fully flexible fares, as well as 20% off at Pizza Hut and 15% discount for travel to Festivals and Events including Boomtown, Green Man and Ed Sheeran! If you want to find out more information about National Express, you can do so here. All in all, we had a lovely day, and I hope that you’ve enjoyed reading about it! This experience was kindly gifted in exchange for review, but all opinions are my own. For more information, please see my disclaimer. 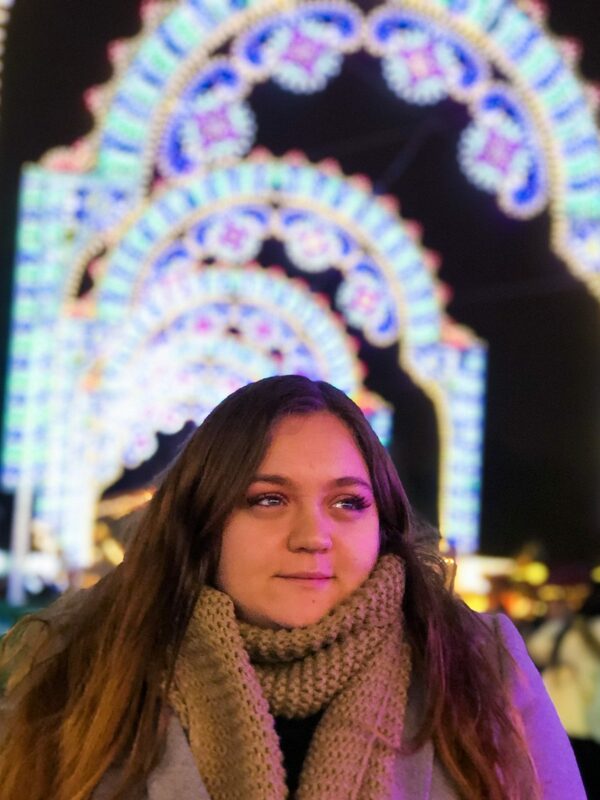 Next Post Weekly 11; A Christmassy Weekend, A Trip Home, And Getting A Tattoo!